A sea of perfect green grass is often a homeowner’s dream; however, success depends upon the type of grass you choose for your landscape. Not every grass seed is adapted to the soil, lighting, drainage and fertility of individual sites. Your USDA zone also plays a role in choosing which grass will perform best. In zone 6, temperatures are mild to warm, but in winter some freezing can occur. Zone 6 grass seed has to be a variety that tolerates all this as well as your individual conditions. Seeding grass is a bit more work than simply purchasing sod rolls, but it is economical and almost anyone can accomplish the task. The tricks are preparing the seed bed correctly and choosing a grass variety that will thrive in your zone. 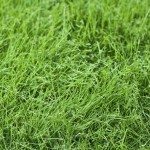 The best grass seed for zone 6 will depend upon your needs. There are some better suited for shady areas, while others need full sun. Timing of sowing is another important consideration for planting grass seed in zone 6. Ryegrass may either be an annual or a perennial. The others are all perennial and tolerant of zone 6 weather conditions. Some are even native, such as Buffalograss, which gives them years of adaptability to their native regions and makes them low maintenance and easy to establish. Just because you know a grass is suitable for your zone doesn’t mean it will perform the way in which you want. 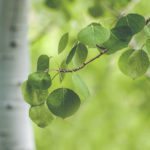 Some gardeners want drought tolerant grass, as they are stingy on watering, while others want grass that can stand up to the rough and tumble of children and animals. Other stresses may be put upon the lawn such as excess heat or even salt exposure in coastal regions. It is important to evaluate your needs and your site restrictions before selecting a cold hardy grass seed. Color, texture, density and maintenance levels are also considerations that should be vetted before opting for a certain grass seed. Other considerations are pest and disease issues. 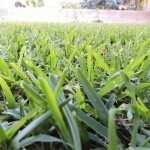 Selecting a grass seed that is resistant to certain prevalent pests or disease in your area can minimize the amount of effort expended to keep the grass healthy. Often, the best option is a mixed seed product. 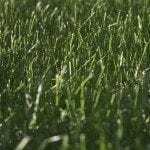 For instance, Kentucky bluegrass may take some time in spring to green up but if mixed with ryegrass, the lawn turns green faster. It also germinates quickly and wears well. Mixing grass seed can also increase a lawn’s tolerance to shade, enhance texture and minimize pest and weed issues. Hybrids are another way to harness different species’ attributes. A blend of Texas bluegrass with Kentucky bluegrass increases heat tolerance in summer while still retaining the lovely blue green color. A very common cool season grass mixture is Kentucky blue, perennial ryegrass, and fine fescue. The combination develops into a perfect lawn with tolerances to many stresses and lighting conditions. Read more articles about Zone 6.